Dr A.P.J. Abdul Kalam Technical University Uttar Pradesh, Lucknow has released the counselling schedule of Uttar Pradesh State Entrance Examination (UPSEE-2017). New Delhi: Dr A.P.J. 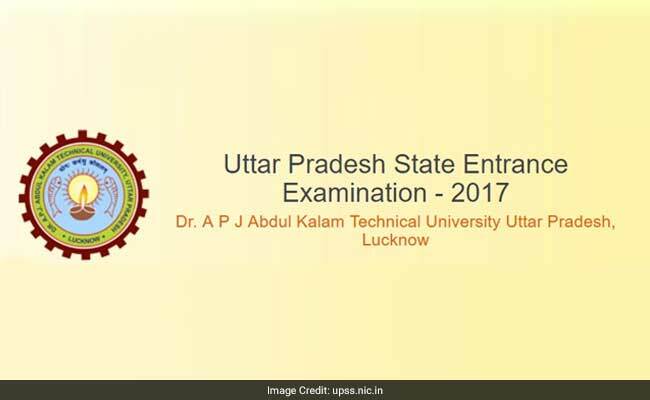 Abdul Kalam Technical University Uttar Pradesh, Lucknow has released the counselling schedule of Uttar Pradesh State Entrance Examination (UPSEE-2017). The first round registration, firsat round registration, payment of registration fee and uploading of document will be held from June 19 to June 24. UPSEE 2017's first round online document verification at centralized verification center will be held from June 20 to June 25. UPSEE 2017 first round choice filling also will be held from June 20 to June 26 June. First round choice locking of various courses will begin on June 20 and will be concluded on June 26. According an update posted in the UPSEE 2017 official website earlier, this year's counselling process for admissions for engineering all other UPSEE based courses will start soon after the declaration of results of intermediate or class 12 exams of various boards. UP board declared class 10 and class 12 exams results last week. AKTU declared the UPSEE 2017 results on upsee.nic.in on May 29.